100s of thousands of U.S. jobs at Japanese carmakers may vanish. 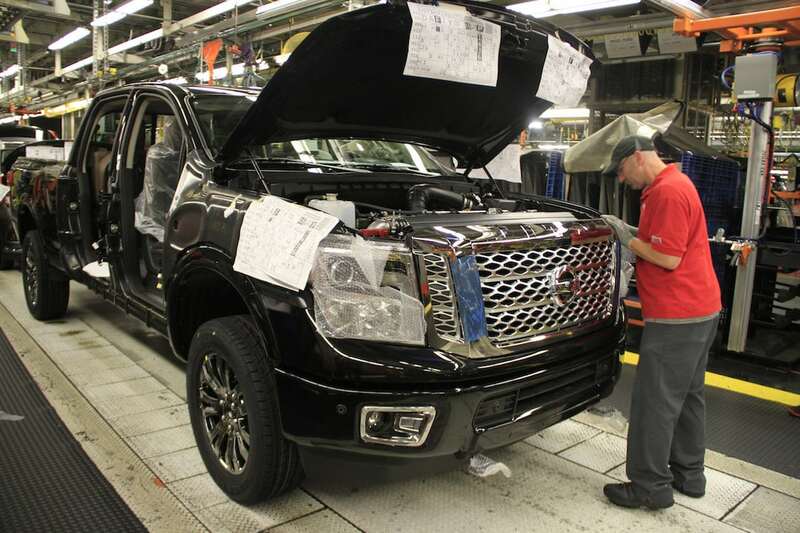 Employees at Nissan's Canton, Mississippi, plant and other Japanese-owned U.S. plants could see their jobs threatened by new tariffs, Japan warned on Friday. The Japanese government is the latest to weigh in on the potential dangers posed by the Trump Administration’s threatened trade tariffs on not only the global economy but U.S. jobs. Warning that the White House’s proposed 25% tariff puts global free trade “at great risk,” a report issued by the Japanese government on Friday said such a move could backfire, threatening to “eventually undermine the entire U.S. economy” by, among other things costing the jobs of hundreds of thousands of U.S. jobs. The Japanese report echoed the findings of another analysis of the auto tariffs’ impact, the Peterson Institute for International Economics estimating that anywhere from 195,000 to as many as 624,000 U.S. jobs could be lost, the higher figure reflecting what would happen if trade partners retaliate. Event organizers to announce July or October shift for 2020. 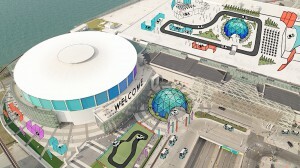 Organizers of the Detroit Auto Show are planning to move it from January to either June or October. The North American International Auto Show plans to end its winter blues, sponsors confirming they will announce next month whether they will move from the current January timeslot to either June or October. For years one of the most important auto shows in the world – particularly from a media perspective — the NAIAS has fallen on hard times in recently. While public attendance has grown, the number of new product debuts fell this past year to less than half of past peaks and a growing number of manufacturers, including Mercedes-Benz, BMW and Audi, have announced they’ll be no-shows in 2019. Concept marks twin 50th anniversaries. The Nissan GT-R50 by Italdesign commemorates the 50th anniversaries of both the GT-R and Italdesign. Somewhat surprisingly, it marks the first time Nissan and the Italian design house have worked together, and they clearly wanted to put pedal to the metal.The newly revealed take on the GT-R pushes the boundaries from a design standpoint, with its distinctive gold and gray color scheme enhancing a variety revisions to the exterior of the latest-generation GT-R.
New report says carmaker well short of 5,000 weekly target. 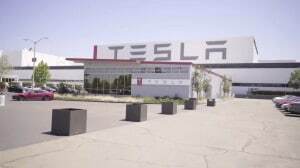 Tesla CEO Elon Musk needed to add a fourth line to the company's plant. He didn't have room inside so he built a tent. Stung by the slow rollout of its critical Model 3, Tesla has pulled out all the stops to try to boost production, even setting up a fourth assembly line under a tent alongside its Fremont, California plant. CEO Elon Musk has promised to have 5,000 Model 3 sedans rolling out of the Fremont factory each week by the end of June, something critical to achieve his other stated goals of having Tesla in the black, with a positive cashflow, during the second half of 2018. The “production hell” of the Model 3 launch resulted in record losses for Tesla during the first quarter of the year. New model is just fourth Longtail ever. McLaren unveiled the new 600LT, only the fourth Longtail in company history. 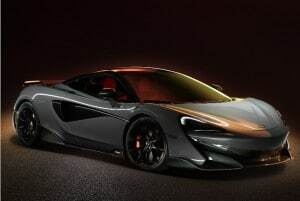 McLaren continues to tickle the fancy of McLaren and super car fans alike, this time reaching back into its history a bit with the debut of the new 600LT. Department studying if imported autos risk national security. AIADA's Cody Lusk chastised the Trump administration in a filing, saying a new tariff amounts to a new tax on the American people. 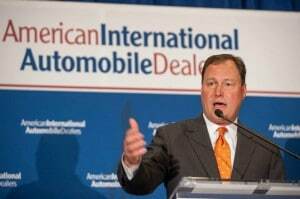 This country’s international auto dealers, who sell brands from Asia and Europe, fired a broadside shot against the Trump administration’s plans to impose a heavy tariff on cars imported into the U.S.
America’s auto dealers, domestic and international, stand to lose up to 2 million annual sales if the investigation rules against their products and the 25% tariff proposed by the Trump administration is put in place, the American International Auto Dealers Association said. Dodge boss Steve Beahm with the 2019 Dodge Challenger ScatPack discussed the brand's future. 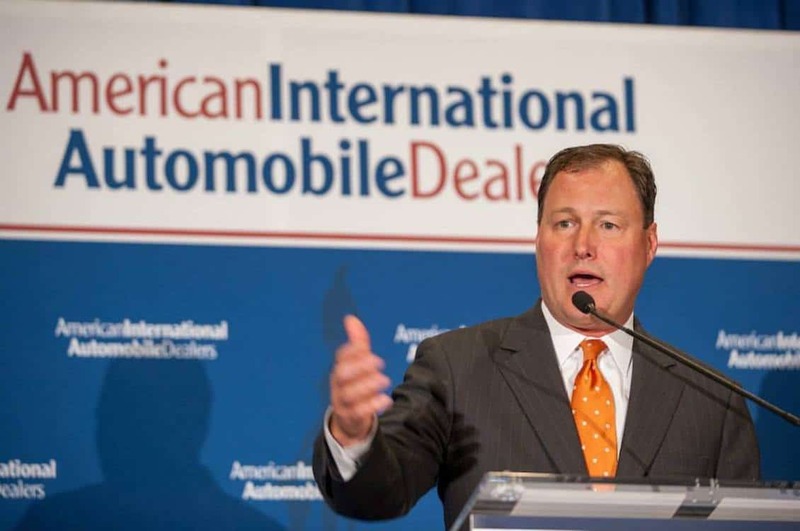 During a daylong session in Milan, Italy, earlier this month, Fiat Chrysler Automobiles’ senior management team offered an in-depth look at the company’s next five-year plan – but they focused all but exclusively on four global FCA brands: Jeep, Ram, Alfa Romeo and Maserati, raising more questions than answers about the company’s two other U.S. divisions, Chrysler and Dodge. While the fate of the Chrysler brand appears to be far from certain, there’s far more opportunity for Dodge, it appears, albeit as a niche brand increasingly focused on muscle. Brand's first sports sedan turns heads, snaps necks. 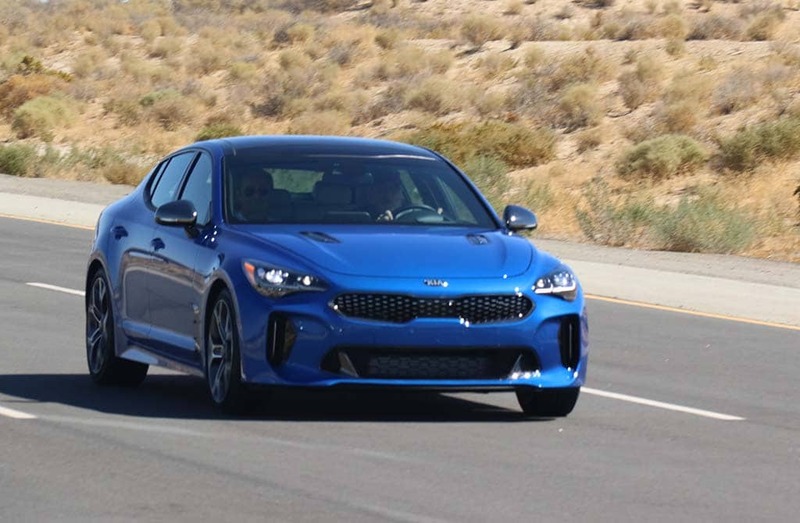 The Kia Stinger GT1 shows the automaker is looking to attract attention with its designs and products. Cars of various kinds have come to seem kind of ordinary or even passed their prime even though still much go and fit anywhere 99% of motorists go day in and day out with a minimum fuss and great efficiency. But they are also kind of boring, which is one of the primary reasons buyers have moved toward the compact two-box SUVs that have become so popular during the past couple of years. 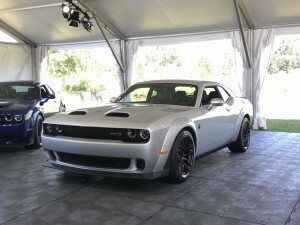 Dodge continues to bring out new variants of its popular Challenger model. 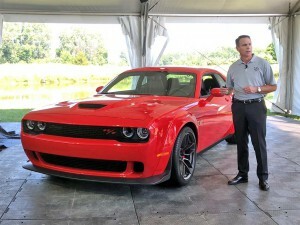 The Challenger SRT Hellcat Redeye puts out 797 horsepower. The Dodge Demon may be gone, but it’s certainly not forgotten, and Fiat Chrysler’s muscle car brand is again pushing the limits with another spin-off of its Hellcat line. While the 2019 Dodge Challenger SRT Hellcat Redeye won’t quite match the numbers delivered by last year’s limited-edition Demon, it looks to have little to apologize for considering it will still make 797 horsepower – 90 more than the original Hellcat coupe. 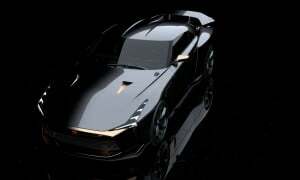 That will be enough to launch it from 0 to 60 in just 3.4 seconds, with a top speed of 203 mph. 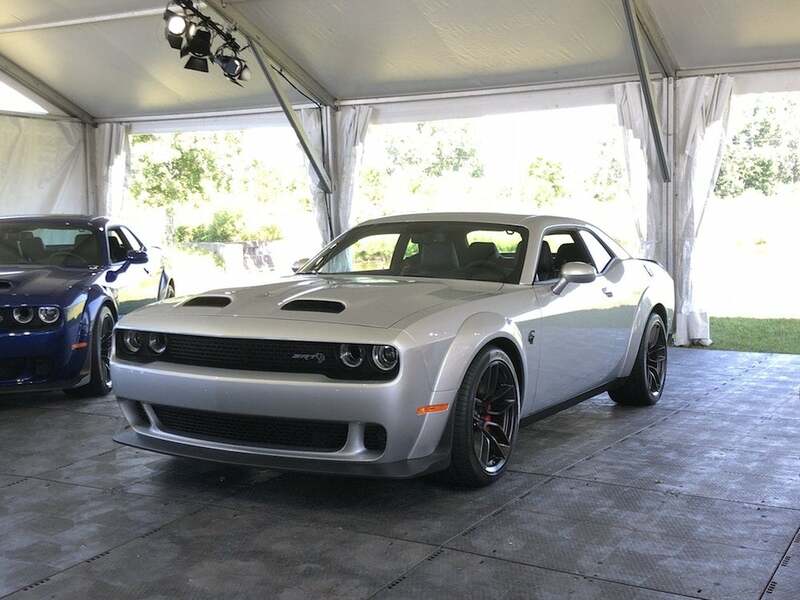 “The Dodge Brothers would be proud that we’re leveraging the power and performance of this proven engine to bring a Demon-possessed Challenger SRT Hellcat Redeye to an even wider high-performance enthusiast audience,” proclaimed Dodge boss Steve Beahm, during a debut event at FCA’s proving grounds in Chelsea, Michigan. 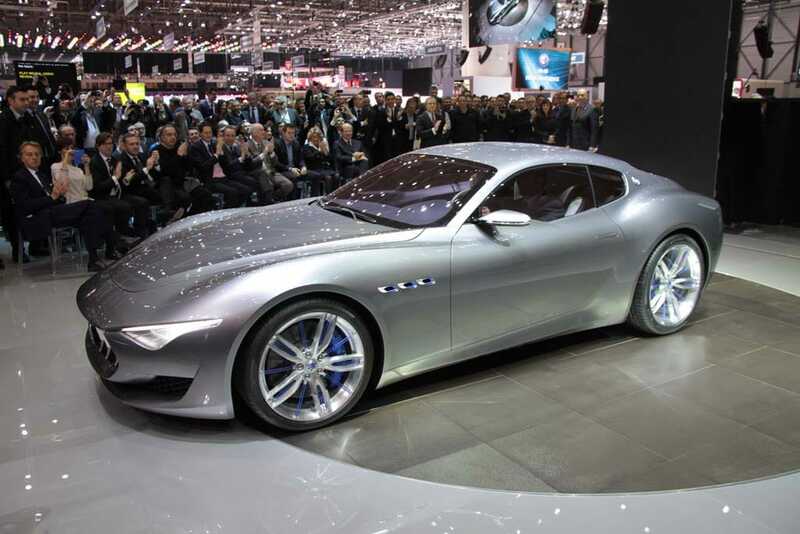 The original concept version of the Maserati Alfieri. There will soon be all-electric versions of both the production coupe and convertible. Things are looking blue at Maserati. Make that Maserati Blue, the name of the new brand-within-a-brand the Italian automaker plans to launch during the next several years that will help it target Tesla. Like all global automotive manufacturers, Fiat Chrysler Automobiles will be pushing into electrification over the coming decade, and that includes FCA’s two high-line marques, Maserati and Alfa Romeo. 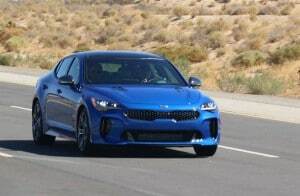 But rather than focus on “compliance cars” meant to barely meet emissions and mileage regulations, the Italian brands are betting they can focus on the performance capabilities electric drivelines offer and actually command a price premium. Alfa, for example, is working up a 700-horsepower plug-in hybrid supercar. But it’s the more upscale Maserati that will make the broadest bet on electrification. 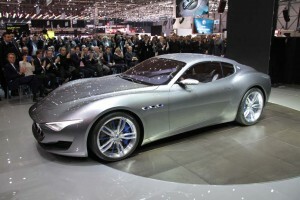 “Everything gets electrified,” Maserati chief Tim Kuniskis told TheDetroitBureau.com during an exclusive interview. That includes four all-electric models that will be grouped together as the new Maserati Blue brand.